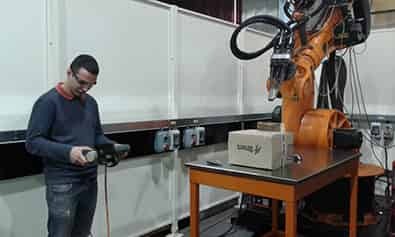 Robot training is encouraged to promote efficient utilisation of your robot systems and in turn lower production costs. Robot manufacturers emphasise the ease of use of modern programming, teaching and simulation tools. Full customers training is essential in new installations and will contribute to faster and more effective start-ups. There are important differences between conventional automation and robotic applications because of the size and power of most industrial robots, the severity of injuries is potentially great. Furthermore, the robots are programmed via pendant control the way that teach-and-playback robots. Our standard robot training courses are customised according to your own applications. We recommend a maximum of 3 students per course is encouraged to ensure a high level of practical experience. 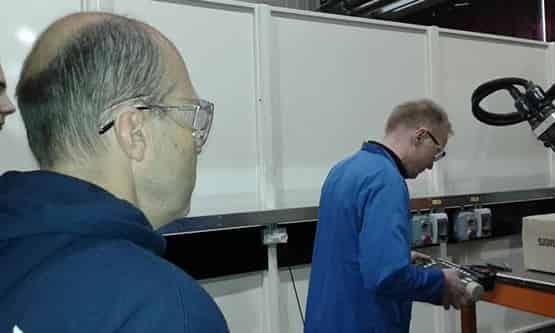 Each of these courses can be run at your premises to fit around your production schedules or if you prefer, we can offer training at our training facilities. After our training, with course manuals for reference you should feel confident to tackle most problems but if you need further advice, we make sure that our support team are available to give guidance and advice while you are still learning. 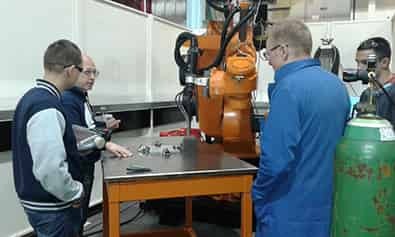 Our trainers have a certification from Kuka Industrial Robots and they had worked with others industrial robots as ABB, FANUC and Yaskawa. Convenience: Held right at your facility to meet your scheduling needs. Cost Effective: Train entire groups of employees for one low rate. Customization: Add specific training components or select additional topics. Flexibility: Using your facility means employees don’t have to travel. Experience: Phoenix has the benefit of vast experience base in automation.